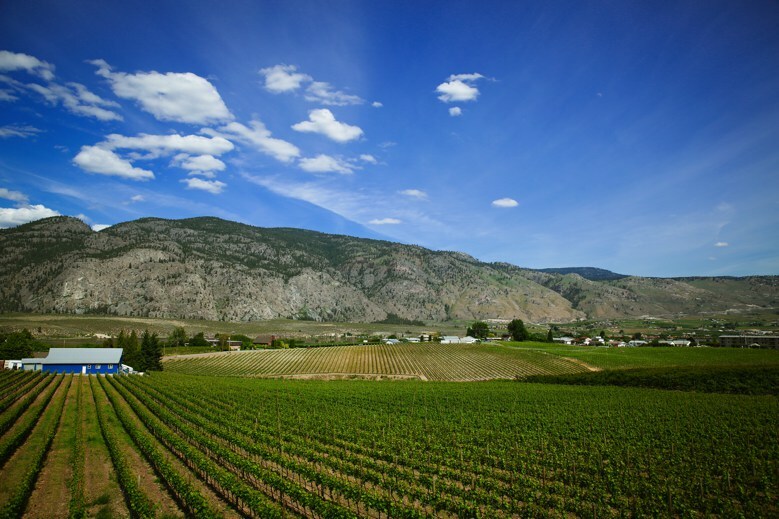 Osoyoos – a spectacular oasis for wine lovers. Osoyoos is a long-established resort town that takes full advantage of its location on the shores of Osoyoos Lake (reputed to be the warmest in Canada) and its climate with hot dry summers and short mild winters. Dry arid heat, unreal scenery, world-class wines and right-from-the-garden-fresh food. Always Talked About – Osoyoos Weather! Osoyoos has a semi-arid climate with very hot, dry days in the summer and very mild days in the winter. Osoyoos Lake is the warmest fresh water lake in Canada, in winter it never completely freezes over. Osoyoos receives an average rainfall of less than 12 inches per year. The desert plants and animals of this area are found nowhere else in Canada. Osoyoos is Canada’s only desert. It has sophisticated resorts, championship golf courses, the nation’s warmest lake, and a wide range of cultural, intellectual and artistic experiences. The city is set on a rugged landscape of hills and grasslands that invite hiking, mountain biking and wildlife viewing within easy access to the city. Come visit and enjoy the wine you love. We look forward to seeing you at Bordertown Vineyards. JOIN OUR MAILING LIST and get exclusive deals you won’t find anywhere else – straight to your inbox!